It's such a good feeling: Take up our quarrel with the foe. Today I talked patriotism and nostalgia with my dad. He called me the Queen of Nostalgia. I'm also the Queen of Celebrating Holidays. 1. Wear a remembrance poppy. 2. Recite "In Flanders Fields." 3. Listen to "Passchendaele" by Good Books. 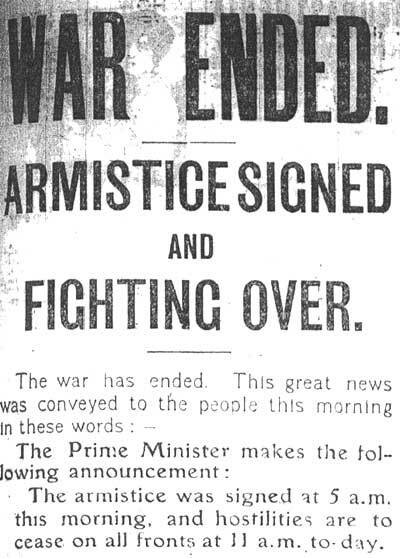 on the first Armistice Day. I myself had Chef Boyardee. 5. Think about America and war and peace and sacrifice and the whole world. I'm not sure how number three relates, but whatever. I love veteran's day because all three of my grandfathers are vets, and I always think of them. Love you Grampses! Did you listen to it? It's about a guy who dies in WWI. Passchendaele was one of the WWI battles.